Popular Lecture on “Intellectual Property Rights: Importance & Scope for Researchers & Studentsas a Career Option” at Regional Science Center (RSC), Dehradun on Feb 21, 2017. An IPR Camp focusing on “Intellectual Property Rights: Importance & Scope for young Researchers & Studentsas a Career Option” was organized By PIC, UCOST on Feb 21,2017 at Regional Science Center, Dehradun A group of around 80 students from Class XI-XII of Science and Commerce Streamof Hopetown School & Nearly 50 B.Sc&M.Sc Students of Alpine College, Dehradun attended the lecture on IPR. 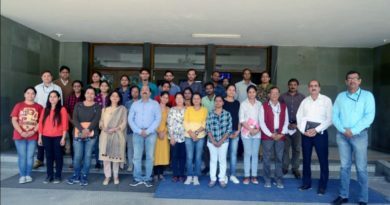 Dr. Anju Rawat, Scientist-B, Patent Information Center (PIC), UCOST gave lecture on topic “IPR: Importance & Scope for young Researchers & Studentsas a Career Option”. She described basics of Intellectual Property Rights in details to all the students. She posed a need of IPR’s that will help the students attending the program, how to protect their intellectual property in this cutting-edge digital world.She explained that Intellectual Property Rights play a critical role in providing protection to scientific creations. Participants were also updated about the importance of IPR in development of science and innovation. In the lecture, she covered patents in detail viz. definition, requirement of patent registration, patentable subject matter and industrial applicability. Further, she explained that the Copyright protects the artistic creations of mind such as literary & artistic works, audios, cinematographs, software etc. She also explained about other forms of IPR like trademarks, industrial designs, geographical indications and trade secrets. In the end, she motivated participants to disseminate the knowledge of IPRs among their friends after getting information from this lecture.She elucidated the available options to get the full financial and technical assistance to the universities, Govt. organization etc. for filing the patents in the Patent office. 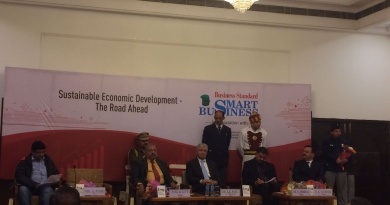 She also enlightened the participants on nuances of patent filing and prosecution in India. She highlighted the importance of patents particularly in the present regime of globalization and liberalization and advised all the participants to protect their IP at fullest. 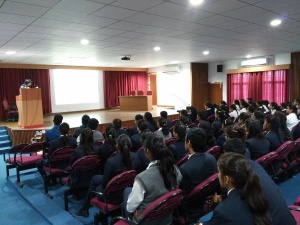 The popular lecture witnessed the presence of Mr. Himanshu Goel, Project Scientist, PIC, UCOST, Mrs. Akansha Chandola Scientific Trainee, PIC, UCOST, Dr. Kailash Bhardwaj & Shri Pankaj Rawat including faculty and students.